I’m going to let you in on a secret. Car polishing before waxing is the trick behind attaining and maintaining that sought after showroom finish on your car. I mean an unsurpassed, deep, vibrant liquid color with shimmer. Washing is great, but it’s just a preliminary step. 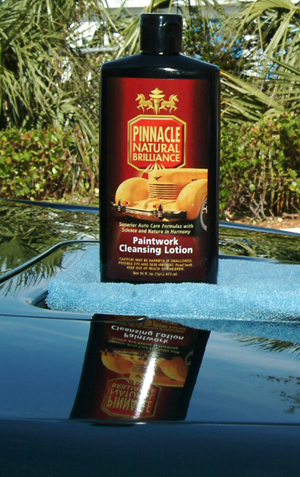 Car polishing is a thorough, deep cleaning of your paint, providing the best possible surface for wax. When single stage paints were popular, "car polish" was used to describe waxes because waxes used to all have cleaners. With the advent of clear coat finishes, the definition has changed because the products have changed. I polish my vehicles once or twice a year, which is sufficient if you wash regularly and maintain your wax (8-12 weeks) or sealant (this varies by sealant, usually they last at least 6 months). Griots Garage Paint Prep 35 oz. Sonus Paintwork Cleanser Prewax Polish 8 oz.